Should We "Respect" The Result Of The 2016 EU Referendum? It is often said, even by some people who voted Remain in the EU Referendum, that we have to "respect" the outcome. Do we really? In this handy document, former Leeds MP, and Leeds for Europe member, Michael Meadowcroft, demolishes this argument. If you read this, you will be fully armed to explain why the referendum of 2016 is not the final word on the matter and why it should be rejected if we truly believe in Democracy. 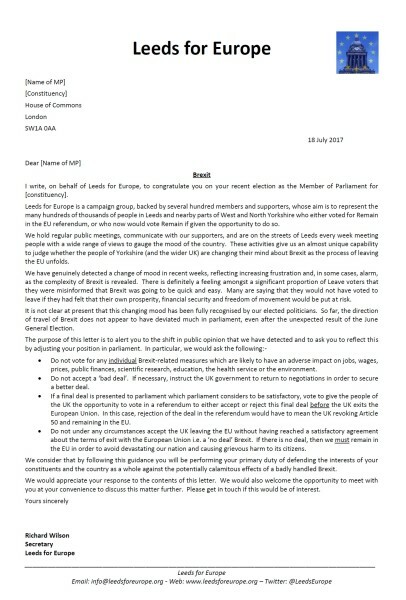 On behalf of Leeds for Europe I write to express our dismay at the news that, because of Brexit, Leeds will not be eligible to become the European Capital of Culture in 2023. 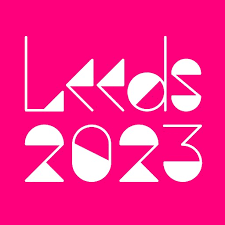 We have no doubt that had this bid been allowed to proceed then Leeds would have had an excellent chance of being awarded the honour of being the UK’s next host city. This is a particularly cruel blow given that Leeds voted to Remain in the EU in the referendum of June 2016. Yet this may just be the start of the suffering for our city and its people as the Brexit process picks up momentum. During and since the EU referendum people who attempted to point out the many downsides of Brexit were accused of scaremongering and exaggeration. Now that our government is dragging us down the path towards the exit door from the European Union it is becoming apparent that, if anything, the warnings about Brexit have been understated. On Wednesday in the budget the Chancellor announced that forecasts of the UK’s economic growth have been downgraded for the foreseeable future, making the UK the poorest performing major economy in the world, having been, until the 2016 referendum, one of the best. Wages are now not expected to return to 2008 levels until 2025 at the earliest. In the same budget, the government announced that it is setting aside a staggering £3 billion to pay for the costs of implementing Brexit – more than it was able to allocate to funding the NHS. That is £3bn spent on recruiting civil servants, building lorry parks, installing new IT systems and setting up new bureaucracy to handle tasks previously carried out within the EU. That is £3bn that we are paying for through our taxes and which will not be available to spend on our schools, hospitals, police or armed forces. What a waste. It is not too late to change our minds about Brexit. 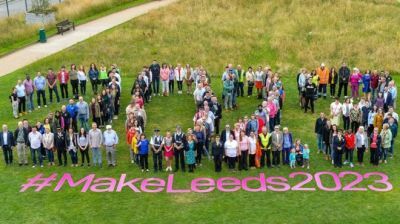 Leeds for Europe are campaigning for a referendum to be held once the full implications of Brexit are known. Surely, in any walk of life, if something isn’t working you stop doing it before it is too late?